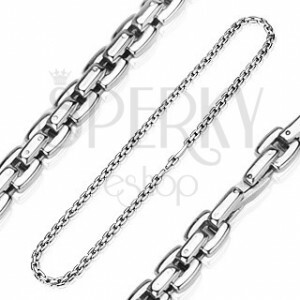 Surgical steel chain in silver colour, angular square links with shiny and smooth surface. 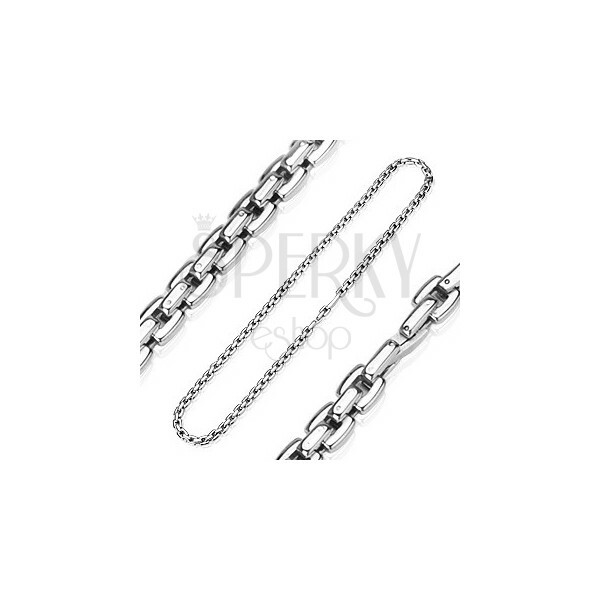 A 316L steel chain in silver colour is composed of big angular links joined diagonally. The chain has wristwatch clasp.